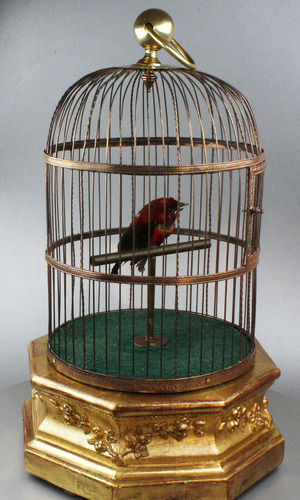 When wound and the start/stop lever actuated, the full taxidermy perched bird moves beak, bobs tailfeather and moves head from side to side to continuous synchronised birdsong. 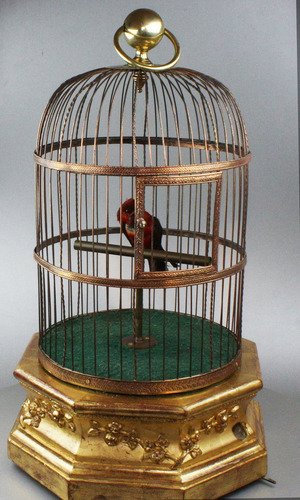 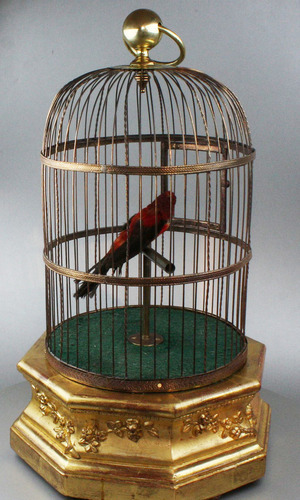 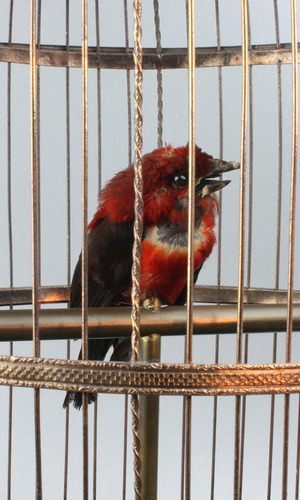 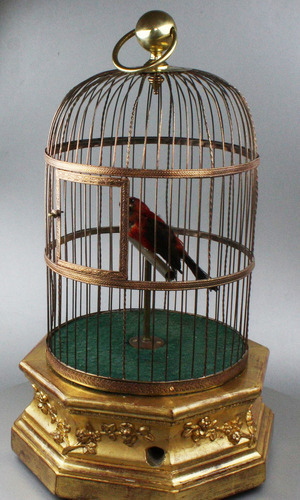 The well detailed and finely feathered bird in predominant red feathered plumage with black wings and tailfeather, flash of white to bib and black glass eyes, on brass T perch to the dark green covered base, under circular domed cage with hoop and boss top, every sixth cage bar with double twist, twin intermediate bands with floral decoration and cage door to front, on the rich and fabulous gilt gesso hexagonal base of concave waist form, and leaf swag in relief bridging all corners before plain moulding. 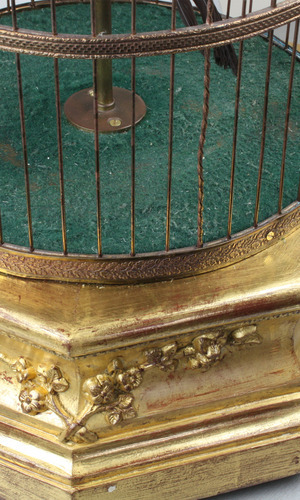 Antique hexagonal cage bases are not common. 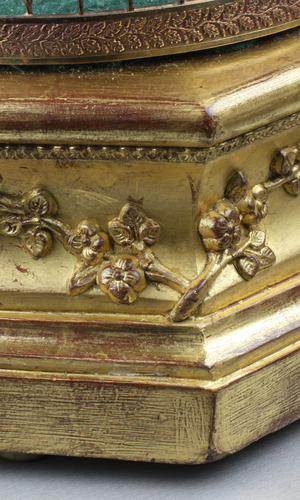 This example having a superb colour to the base with the rich gold leaf bearing the soft red undertone and showing off the relief decoration to its best. 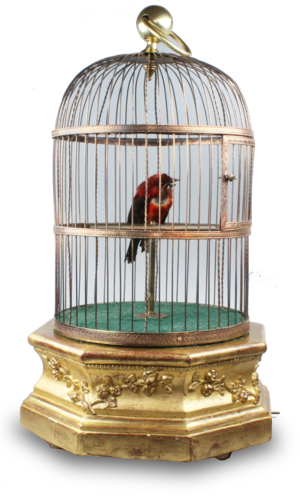 A very neat, pleasing and reliable maker, Bontems continues to excite viewers and owners of their workshops' wares today.